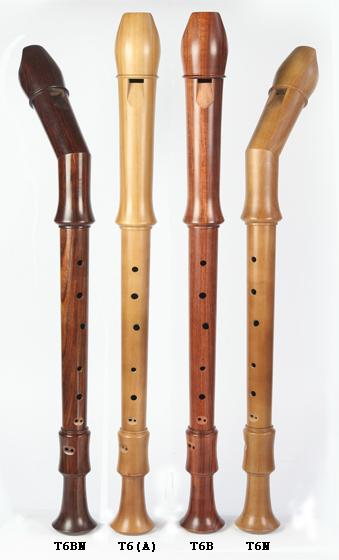 Aura Knicktenor Studie Pearwood, baroque. Because of the bent neck the right hand is more relaxed and allows comfortable playing. 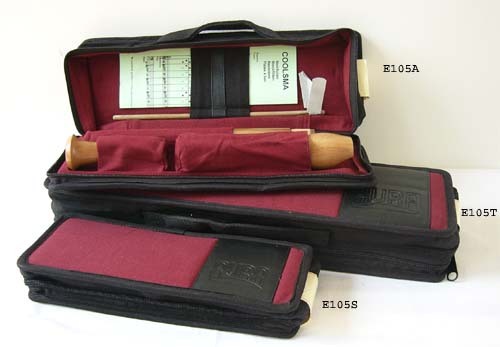 Other features: curved windway + conical cedarwood block for optimal soundmaking; thumbholebushing prevents the hole from wearing out and thus the instrument from getting out of tune.